One of the great ways to leverage Google Tag Manager in your web analytics tracking is to make use of all the possible custom events that the browser has to offer. One such event is beforeunload. It’s dispatched in the browser when the user is about to unload the page. 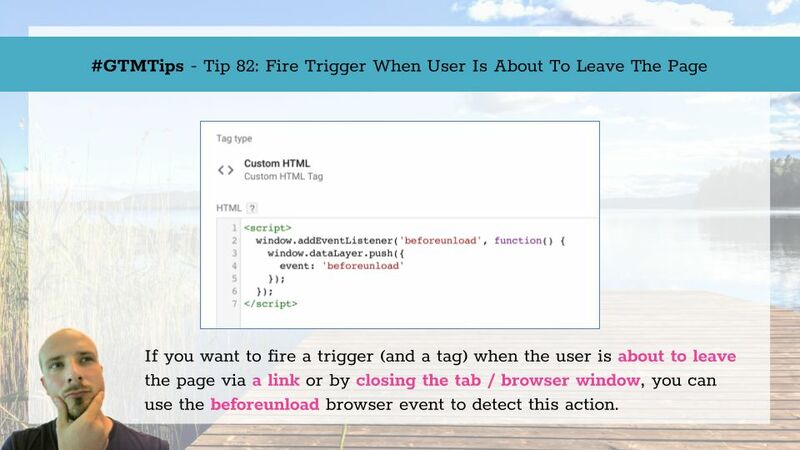 This means, typically, that the user is about to leave the page after clicking a link, or they are about to exit the browser by either closing the tab or the entire window.